Shu Rong, a 3-year-old girl with congenital heart disease, will be treated free at the Kunming-based Yunnan Fuwai Cardiovascular Hospital, according to an article posted on Yunnan Daily App on November 21 afternoon. Born in the village of Yulong in west Yunnan’s Longchuan County, little Shu Rong was found having the disease shortly after her birth. 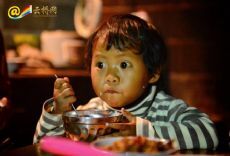 “We were told that she had congenital heart disease when she was eight months old, but we are so poor that the treatment has been delayed for years.” Dong Shiwen, father of Shu Rong, confided with regret. Since he knew about Shu Rong’s illness, Dong Shiwen has been working in Myanmar with his brothers-in-law. His poor salary is the major income for the family. 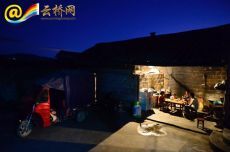 To earn more money, Duola Suantu also feed some ducks, and to save money for Shu Rong’s future cure, the family usually has rice and pickles as daily meals, with some tofu left to the kids: Shu Rong and her 6-year-old brother. As time goes by, the delayed treatment of Shu Rong has become a headache for their relatives. Whenever Shu Rong’s father comes across her maternal grandmother in Myanmar, he will always be asked about his daughter’s health condition. The grandmother can sleep sound only at the good news of Shu Rong. When Duola Suantu called her husband last month, telling him that Shu Rong will be treated free at Yunnan Fuwai Cardiovascular Hospital, the Myanmar relatives could not believe in their ears. Shu Rong’s father returned to Yunnan to confirm the information. It turned out that the free cure-program was launched with Chinese official support. When he told Shu Rong’s maternal grandmother about the authenticity, the elderly was finally relieved. 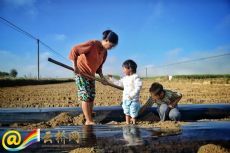 “It is lucky that the kid has a Chinese nationality and got the free-cure offer,” said the Myanmar grandmother, hoping her daughter and Chinese son-in-law build up their new house in the future. Knowing that Kunming is much colder than their home village of Yulong in the border area, the Chinese-Myanmar couple is trying to find and pack more clothing for Shu Rong, who is expected to reach Kunming tomorrow.